When the Green Bay Phoenix fell in overtime to the Cleveland State Vikings last Friday night at the Resch Center, any hope to host the Horizon League Tournament in Green Bay for a second consecutive season went out the window. However, after the Vikings were tripped up Sunday afternoon by the UWM Panthers in Milwaukee, hope remains alive for Green Bay to receive the #2 seed in the conference tournament and the important double bye to the semi-finals that comes with it. Green Bay has already clinched at least a bye into the quarterfinals as either the #3 or #4 seed. To move up to the #2 seed and a double-bye the Phoenix will require some additional help. In order for that to happen, the Phoenix must win both of their remaining games, at UIC tonight and home against Oakland on Saturday afternoon, as well as have Valparaiso beat Cleveland State in Cleveland on Friday night (9:00, ESPNU). That would result in Valpo being 13-3, Green Bay at 12-4, and Cleveland State and Oakland at 11-5. "We're still playing for a high seed," Green Bay head coach Brian Wardle said Monday night on "Inside Phoenix Basketball" on WNFL. "You just never know what can happen in our league with the parity we have, especially with the top 4 teams." Green Bay will be the #3 seed if they win both remaining games and Cleveland State beats Valparaiso on Friday night. The Phoenix will be the #4 seed if they lose either of their final two games. "I think our league is very strong at the top. It's going to be very interesting to see who goes on the road this week and wins and who can hold home court." 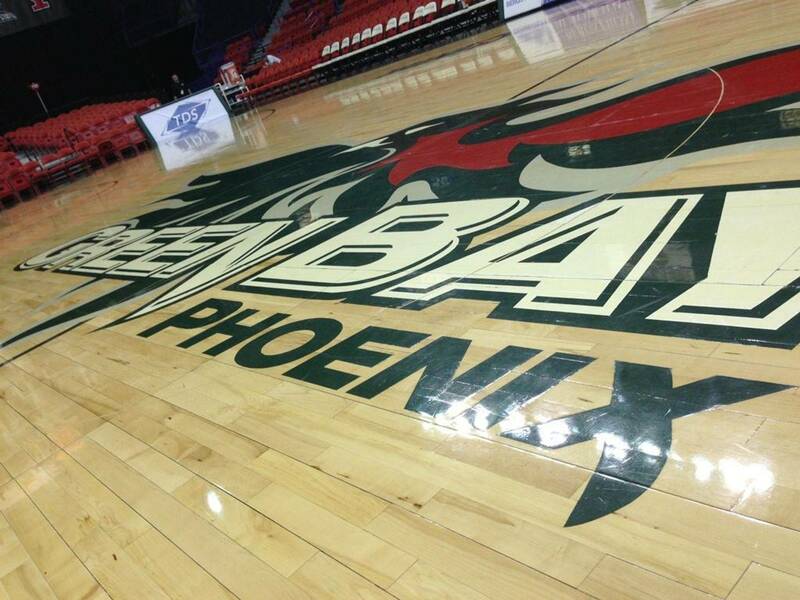 Green Bay lost its first home game of the season on Friday, and while they still technically have a chance to finish as regular season co-champions, the Phoenix will have to quickly put the pain of knowing they won't be hosting the Horizon League Tournament behind them. "You learn from it and you move on," Wardle said. "As much as it hurts and you want that win to try and still win a championship, you just have to do your best to move on and understand it wasn't our night. We let some things slip away." "Let’s tighten up this last week of conference play and see if we can win a couple more before we get to the conference tournament." First will be a short trip to Chicago to face UIC on Thursday night at the UIC Pavilion. The Phoenix whooped up on the Flames in the first meeting at the Resch Center, 78-55, behind a combined 46 points from the Chicago starting trio of Keifer Sykes, Greg Mays, and Alfonzo McKinnie. UIC (7-22, 3-11 in conference play) had won two games in a row before their current three game losing streak. The Phoenix can’t take them lightly. "We need to go on the road against a UIC team that has been playing well down the stretch," said Wardle. "They know we have a lot of Chicago guys. They always play us tough at the UIC Pavilion so we're going to go in there and have our hands full Thursday night, there's no doubt about it." After a quick turnaround, the Oakland Grizzlies come to Green Bay on Saturday afternoon for the Phoenix final regular season home game of the year. Green Bay will look to avenge an earlier 69-66 loss in Rochester back on January 15th. It will be Senior Day at the Resch Center with the first 2,000 fans in attendance receiving a Keifer Sykes bobble-head. Tip-off is at 1:00 PM. Saturday's game could have big Horizon League Tournament seeding implications beyond just Green Bay. For more Horizon League seeding scenarios, be sure to check out Jim Squire's post at his "On the Horizon" website. "We have improved offensively over the last couple weeks," said Wardle. "Down the stretch this week we're going to need to play better."